Elucidations is a monthly philosophy podcast recorded at the University of Chicago. 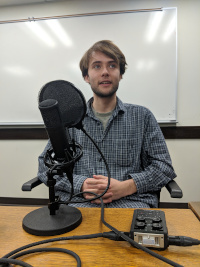 Each month, a prominent philosopher sits down with our graduate student co-hosts to talk about his or her latest work and areas of philosophical expertise. The podcast covers a wide range of topics from the theoretical to the practical (including causation, metaphor, agency, religious freedom, and moral psychology) and explores a wide range of problems from the perennial to the cutting-edge (including skepticism and experimental philosophy). We hope you enjoy our podcast. Ben Andrew is a fourth-year philosophy major and human rights minor. He’s interested in the intersections between ethics and the philosophy of language. He likes to run long distances, but only ever moves two feet. 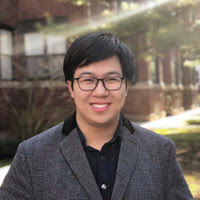 Steven Chen is a fourth-year philosophy major. He is interested in Ancient Greek philosophy, philosophy of language, and logic. Long Dang is a fourth-year philosophy major. He is interested in ethics and the philosophy of human rights. Pat Doyle is a fourth-year philosophy major. He is interested in ethics, metaethics, and action theory. He is also interested in marxist critical theory. Yuezhen Li is a third-year philosophy major. He is interested in 19th-century German philosophy (Nietzsche, Kierkegaard, Hegel) and contemporary practical philosophy broadly conceived, in particular philosophy of law. David North is a third year philosophy/creative writing double major. He is interested in ethical naturalism, specifically the writings of G.E.M. Anscombe, Philippa Foot, and Michael Thompson. 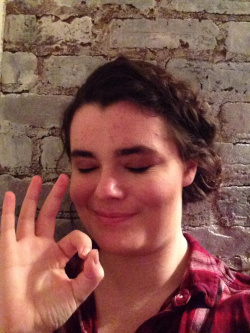 Caroline Wall is a fourth-year philosophy major. She is interested in ethical realism and the lack thereof, and particularly loves Nietzsche’s middle period of writing. Xinrui Zhao is a second year Philosophy and Mathematics double major. She is interested in ethics. She is also interested in post-structuralism. Very enjoyable — Setiya especially. But please, please, please change the brutal intro music. I really like this podcast (including the intro music; to me it suggests the strange and timeless nature of some of these topics). It’s a very good introduction to a lot of these topics for non-philosophers, and does a good job promoting the work of the people being interviewed. David North is a third year philosophy/creative writing double major. Can I ask what the intro music is? I absolutely love it – it’s strange, warped and intriguing.